Posted by Maria Perilli on July 17, 2013. The new Similar Audiences feature allows you to display your ads to users with similar browsing behaviors to those of the people currently on your remarketing lists. This brilliant idea gives your brand even more exposure to a pre-qualified audience without any extra work on your part. This is a great, easy way to expand your target audience. While Google has yet to promise any improvements to common complaints about the new feature (i.e. ad scheduling, App Promo ad issues, separating desktop and tablet devices), the company has promised to work on improving these issues. Until then, be sure to start using Enhanced Campaigns ASAP, as the deadling to migrate is July 22nd (yep, only 5 days left). An old favorite, Google Trends is our go-to for discovering how popular search terms have been on Google and YouTube based on time, region, demographic and several other factors. This provides valuable insight into the performance of your keywords and phrases and to research their overall popularity. Navigate to your “Tools and Analysis” tab in AdWords and try out the Keyword Planner. The result of a merger between the AdWords Traffic Estimator and the standard Google Keyword Tool, the Keyword Planner is a powerful feature helps you brainstorm new keyword and ad group ideas, view performance metrics for keywords specific to your targeting settings and create variations of your keyword lists. 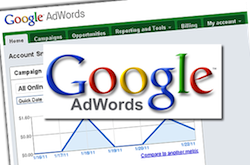 As Google continues to enhance its existing pay-per-click advertising program, the team at PPC Professionals makes sure to stay on top of trends to create and maintain high-performing AdWords campaigns for our clients. Need expert PPC management services? Contact our team of experienced and knowledgeable pay-per-click experts today and receive a FREE PPC audit worth over $500!